„Laser” term was shaped in the late 1950s by Gordon Gould in reference to the maser. Gould used the term for the first time in 1957 in his notes. Early publications called the laser still optical maser. In 1916 Albert Einstein described the stimulated emission as a reversal of the absorption. In 1928 Rudolf Ladenburg achieved an experimental proof. It was then puzzled for a long time whether the effect could be used to amplify the light field because a population inversion had to occur to achieve the goal. However, this is impossible in a stable two-level system. Initially, a three-level system was considered, and the calculations provided stability for microwave radiation, realized in 1954. The maser of Charles H. Townes emits microwave radiation. Thereafter, among others, Townes and Arthur L. Schawlow worked on the transmission of the maser principle on shorter wavelengths. The first laser – a ruby laser – was completed by Theodore Maiman on 16 May 1960. 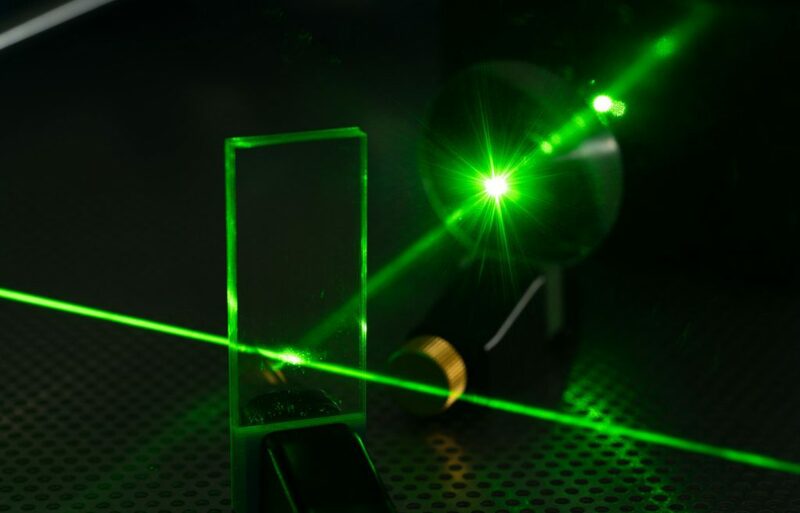 The first gas laser, the helium-neon laser, was also developed in 1960 (Ali Javan, William R. Bennett, Donald R. Herriott). The further development led then first to various gas lasers (oxygen, nitrogen, CO2 laser, He-Ne laser) and then to dye lasers (the laser-active medium is liquid) by Fritz P. Schäfer and Peter Sorokin (1966). Further development of crystal technologies enabled a very strong expansion of the spectral useful range. 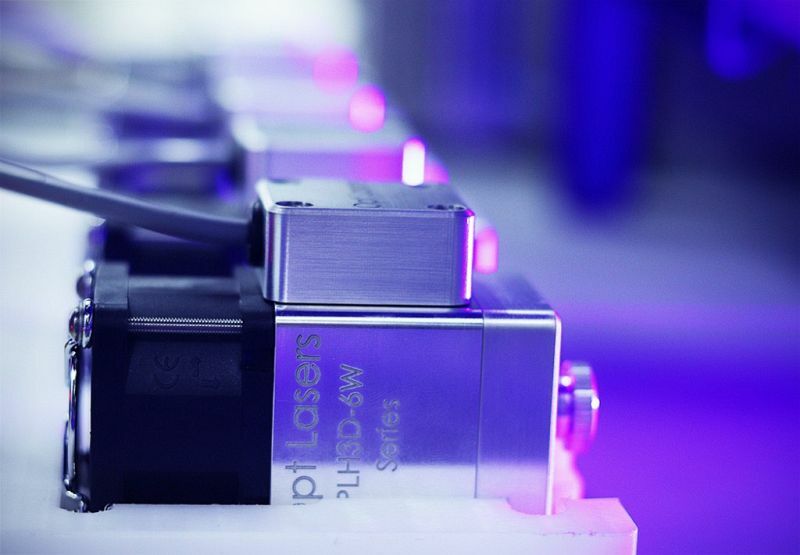 Tuneable laser for approaching a specific wavelength and broadband lasers such as in the 1980s, for example, the titanium-sapphire laser started the era of ultra-short pulse lasers with pulse durations of pico- and femtoseconds. Nikolay Basov ), but the practical usage started with the development of the semiconductor lasers based on heterostructures (Nobel Prize for Herbert Kroemer, Schores Alfjorow). In the late 1980s, semiconductor technology enabled increasingly durable, high-efficiency semiconductor laser diodes used with low power in CD and DVD drives or in fiber optic data networks, and nowadays gradually as pump sources with powers up to the kW range replacing less effective lamp of solid state lasers. In the 1990s, new pump geometries for high laser powers were realized, such as the disc and fiber lasers. At the turn of the millennium, the latter, due to the availability of new production techniques and outputs up to 20 kW, found increasing applications in material processing with CNC machines, in which they can partially replace the previously common types (CO2 lasers, lamp-pumped Nd: YAG lasers). New types of lasers based on the laser diode were also created: fiber laser modules and laser diode modules. At the beginning of the 21st century, non-linear effects were used for the first time in order to generate attosecond pulses in the X-ray range. This allowed tracking of temporal processes inside an atom. In the meantime, the laser has become an important instrument for the industry, medicine, communication, science, and consumer electronics.